Hey hey! How are you all? I am showing you another polish by Kiko this week. 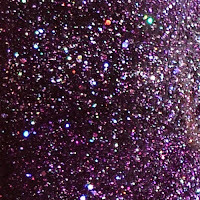 This sparky pretty is number 255, viola microglitter. Not a very inspired name, but it's a nice and simple description of this polish. As you can see in the little side picture, this polish is packed with purple, silver and a little bit of multicoloured microglitter. On the nail, the purple base makes the silver glitter turn a lighter purple. 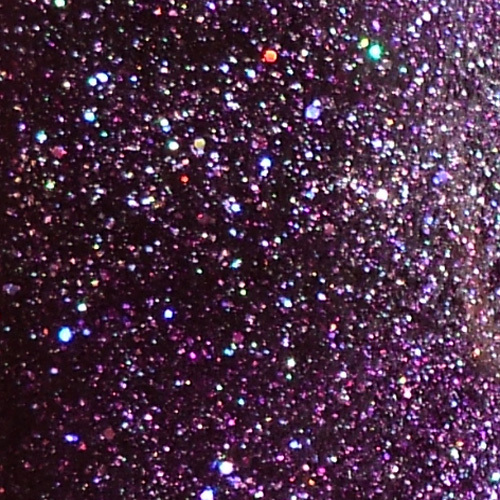 The multicolored glitter stays visible tho, and it's stunning! A layer of topcoat is a must, otherwise it feels a little bit gritty. I hope you liked seeing some Kiko polishes. I've got a few more, but next week I will show you something else. PERFECT manicure, what an amazing job! I didn't even really notice the polish, hehe! I love this! Gorgeous purple! I love it! I need to do this for my blog! :o thank you very much! Thanks girls! If you can, you really have to get this one! IN LOVE! This is gorgeous.